This item is only available for purchase exclusively from our retail stores. Click here to find a store near you. This is an AeroTech 29mm G38-7FJ SU Econojet Rocket Motor. These motors fit all model rocket kits designed for 29mm motors. 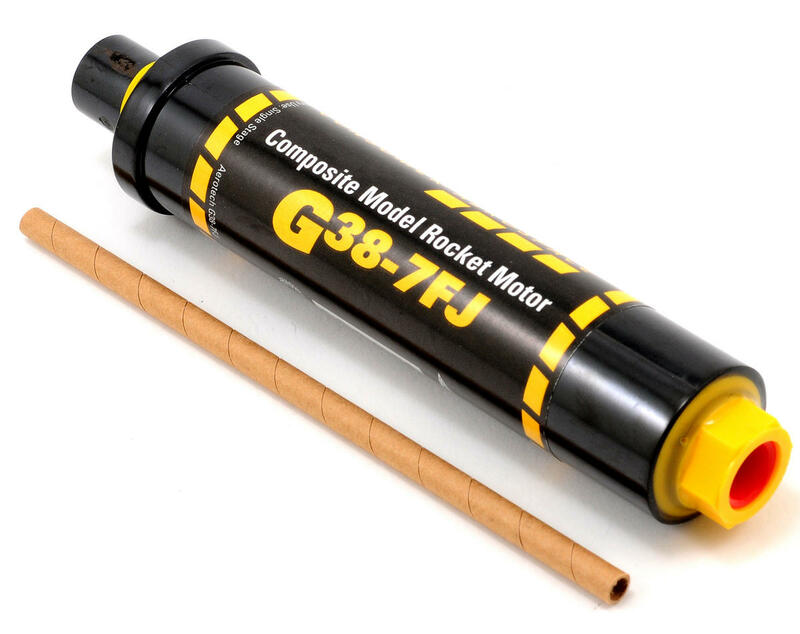 AeroTech established its position as the leader in hobby rocket motor technology with its single-use composite motors. 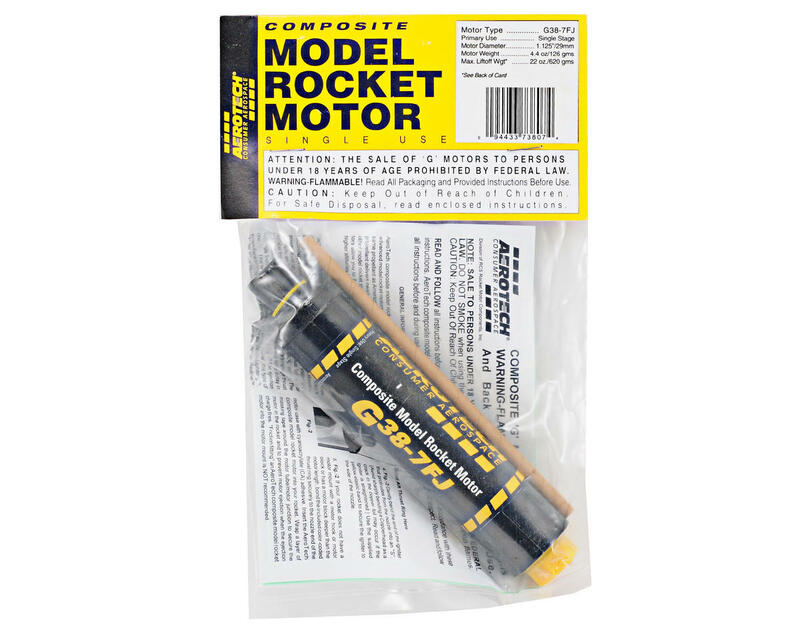 Hobby rocketry has come to depend on AeroTech single-use motors for sport and competition flying. All AeroTech single-use rocket motors have been certified by the National Association of Rocketry (NAR) or the Tripoli Rocketry Association (TRA). Motor Effects; Black Max (FJ): Provides the high visibility tracking of dense black exhaust. In addition to a distinctive lift off roar, Black Jack motors give your models lower acceleration and longer powered flight than White Lightning or Blue Thunder motors of the same total impulse. Black Max provides slightly higher acceleration than White Lightning Propellant.